Another highly regarded maker of British die cast model toys is the now defunct North London based Crescent Toy Company. 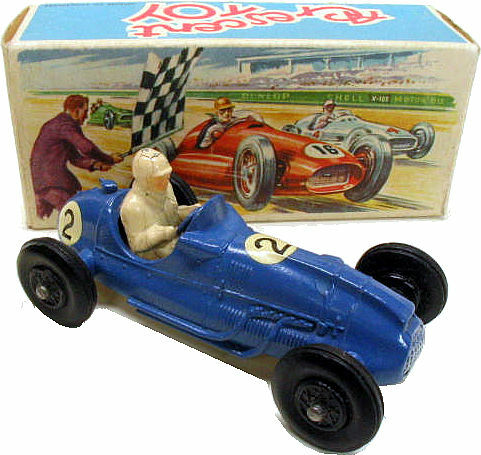 The firm manufactured high quality model soldiers, Grand Prix racing cars, historical figures, model aircraft, warships and an unusually excellent range of farm equipment pieces. Collector interest is often focused on Crescent’s renowned line of model sports cars and Grand Prix racing cars. 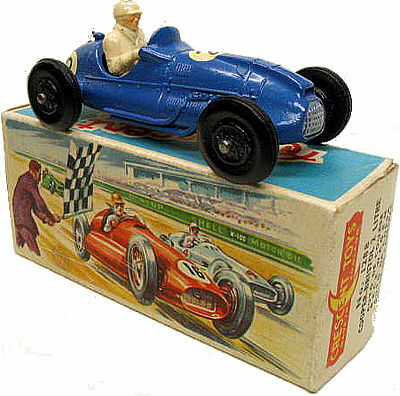 Models from the late 50s such as this Cooper-Bristol 2 Litre race car generally retail for around $150 if complete in their original distinctive boxes. For a more comprehensive article on the company see this article, on the CollectorC@fe web site.